Ply Gem Performance Collection’s Triple 4” Aluminum Soffit features narrow boards engineered of durable, high-grade aluminum. The vented design offers exceptional airflow while the ultra-tough finish protects against weather, corrosion and everyday life. *Due to screen resolution limitations, product colors may not be exactly as shown. Featuring our narrowest panels in aluminum, Ply Gem Performance Collection’s Quad 4” Aluminum Soffit offers vented and unvented styles in a broad color palette. 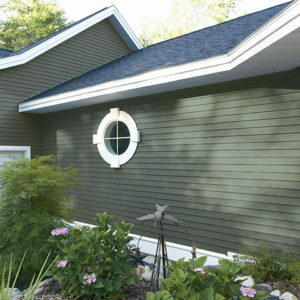 The durable, high-grade aluminum and two-coat finish help protect your home beautifully. *Due to screen resolution limitations, product colors may not be exactly as shown. 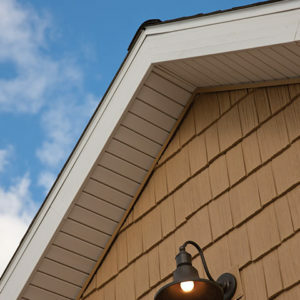 Ply Gem Performance Collection’s Double 6” Aluminum Soffit wide boards create a sharp, clean look that’s at home on a contemporary building as it is on a cottage. The ultra-tough acrylic finish protects against scratches, corrosion and weathering. *Due to screen resolution limitations, product colors may not be exactly as shown. Envoy® Aluminum, our strongest and hardest aluminum soffit design, performs exceptionally well across long spans. The ultra-tough finish resists rust while the perforated, vented V-groove design allows the most airflow of any other aluminum soffit system. 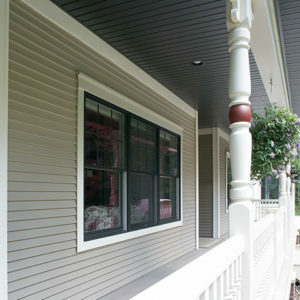 Our most affordable aluminum soffit is a smart, practical choice for virtually any home style. Strong and durable, Economy U-Groove features an ultra-tough white finish that protects against scratches, corrosion and weathering. *Due to screen resolution limitations, product colors may not be exactly as shown. 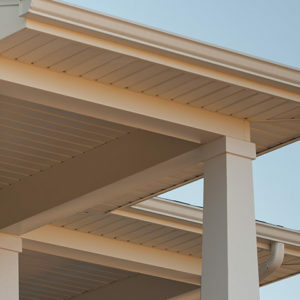 Napco’s Durabuilt Aluminum Soffit offers the perfect balance of affordability, durability, performance and color choice. Choose from vented and unvented styles to suit your design and ventilation needs. *Due to screen resolution limitations, product colors may not be exactly as shown. 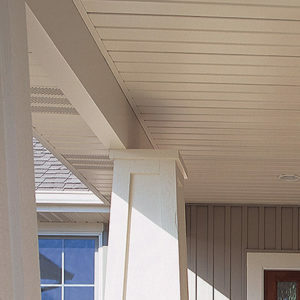 The budget-friendly choice, Economy Triple 4” Aluminum Soffit is attractive, virtually maintenance-free, and protected by a crisp white, double-coated paint finish that withstands sun, weather and corrosion. *Due to screen resolution limitations, product colors may not be exactly as shown. Exceptionally durable and virtually maintenance-free, Napco’s best aluminum soffit is an excellent choice for homes and light commercial buildings. Protected by a durable finish, the premium-grade aluminum holds up to harsh weather and everyday use. *Due to screen resolution limitations, product colors may not be exactly as shown. Variform’s Durabuilt Aluminum Soffit balances affordability with durability and performance. 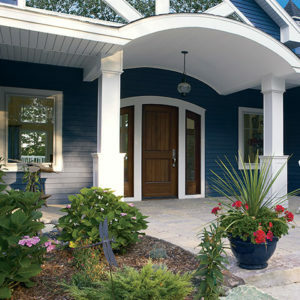 Choose from an array of colors in vented and unvented styles to suit your design and ventilation needs. *Due to screen resolution limitations, product colors may not be exactly as shown. 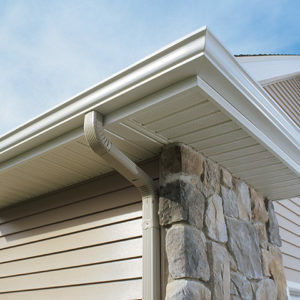 For homeowners on a budget, Variform’s Economy Triple 4” Aluminum Soffit offers a good performing, low-maintenance choice. A double-coated white paint finish protects the attractive narrow panels from weather and corrosion. *Due to screen resolution limitations, product colors may not be exactly as shown. Our thickest, most durable aluminum soffit is an excellent choice for homes and light commercial buildings. Available in a variety of colors, the premium-grade, wide and narrow aluminum panels feature an ultra-durable finish to protect against nature and everyday use. *Due to screen resolution limitations, product colors may not be exactly as shown.